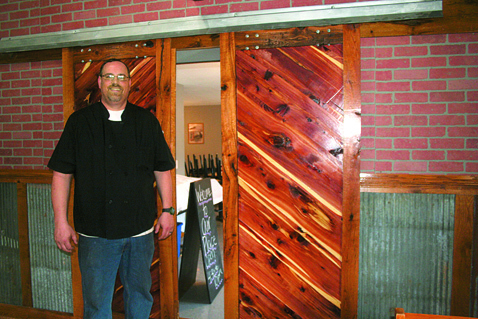 — Daily Freeman-Journal photo by Billie Shelton Jared Peterson, owner of Our Place in Stanhope, stands beside the barn door-style doors in his restaurant that were made from local trees. 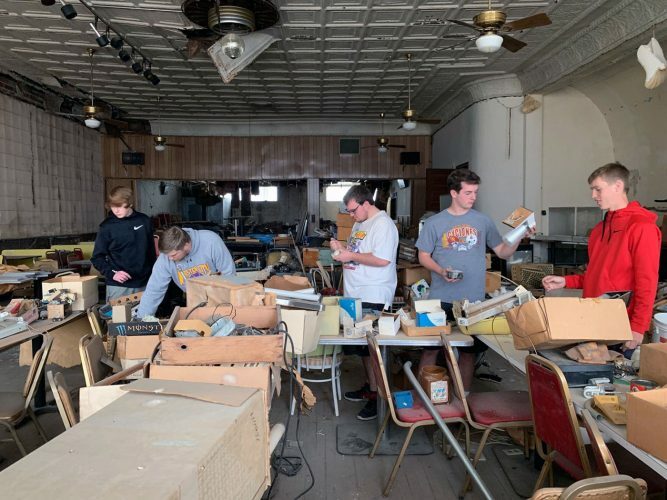 STANHOPE – Jarod and Angel Peterson spent five years and looked at about thirty properties in a wide area as they searched for just the right place to open a small-town restaurant. Now that they finally found it, the result is called Our Place, an inviting, informal restaurant right beside state highway 17 in downtown Stanhope. It’s been a long process, too, transforming the former tavern into what the Petersons envisioned for their business. They started in late fall on the major renovation to the space that for generations had been a local tavern. Now the adjoining building–which many will remember as the stereotypical small-town café for years–is included in the new restaurant. 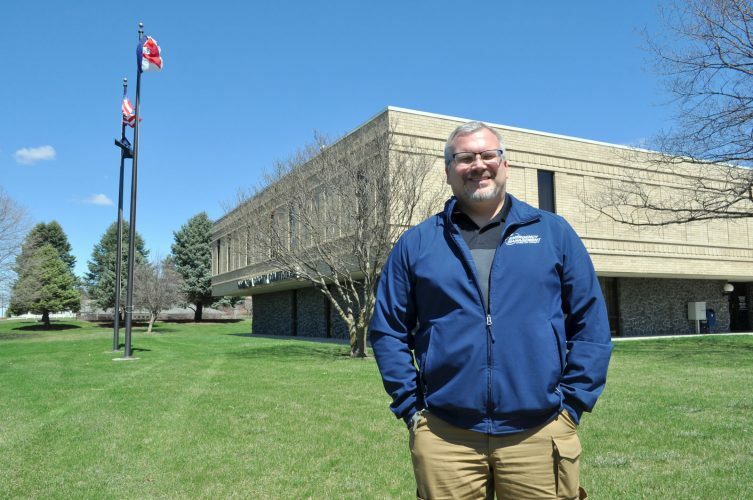 The emphasis here is on “we,” because it took all kinds of family and friends working with the Petersons to renovate and remodel to fit Jarod Peterson’s vision. One most visible, very special example of the care that went into the renovation is the wood finishes in the main room that were fashioned from oak trees in timber ground north of Stratford that’s owned by Angel’s parents, Jim and Adele Scott. The cedar used is from property of Angel’s uncle east of Stratford. Our Place has been open for business daily since May 14. “I guess our niche is rural cooking,” notes Peterson, who graduated from Roland-Story High School in 1994. “I’m a classically trained chef, but I know how I learned to cook from family. 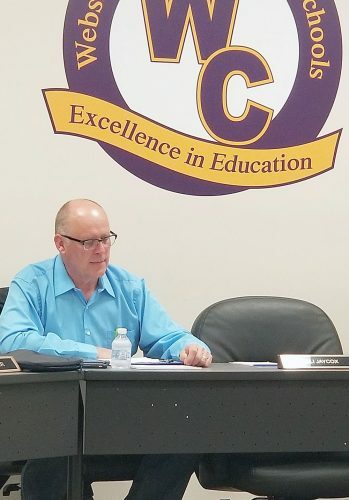 And I refined that when I went to school.” The new business owner completed both the culinary arts program and the hospitality course at Iowa Central Community College in 2014. 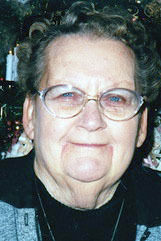 Peterson has also managed the Clarmond Country Club, the Manson Golf and Country Club, and the country club at Britt. So how does that translate into a menu for the new restaurant? “We serve things I’ve eaten and liked and seen on many menus, all with my touch. We have burgers made from fresh ground beef, steaks, chicken, different burgers and appetizers,” the chef answers. “I want people to come for the variation of food we serve and not be worried that one thing on the menu will bad. We do the best we can and know how to do and make sure that everything is great. Numerous members of the Peterson and Scott extended families assisted with all stages of remodeling the former tavern, and that family theme continues. Peterson’s son and daughter are both on staff. Angel Peterson, who grew up in the Northeast Hamilton area, will be at Our Place whenever she’s not at her full-time job as a registered nurse in Ames. The Peterson family now lives in Webster City. Our Place hours of operation are Monday through Thursday: 11 a.m, to 10 p.m. and the kitchen is open 4:30-9:00 p.m. The business is open Friday and Saturday: 11 a.m. to 2 a.m. with the kitchen is open 4:30-10:30 p.m.
Sundays: 10 a.m.-6 p.m. Breakfast buffet only. Every second Sunday is a brunch buffet.